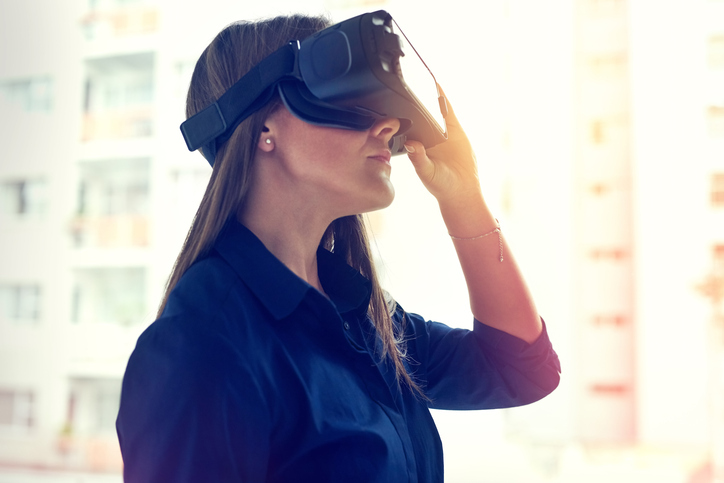 A rudimentary virtual reality (VR) intervention that uses cardboard goggles, a smartphone, and self-guided cognitive-behavioral therapy (CBT) via a mobile app can reduce acrophobia (fear of heights) symptoms, according to a study published yesterday in JAMA Psychiatry. Donker and colleagues enrolled 193 adults with acrophobia (scoring at least 45.45 on the Acrophobia Questionnaire [AQ]-Anxiety) to receive either the active VR treatment or be placed on a wait list. The smartphone-based VR program, known as ZeroPhobia, provides six animated game-like modules that incorporate CBT principles and techniques. ZeroPhobia was downloaded on the participants’ existing smartphones, and VR was simulated with $10 cardboard goggles. Participants could use the program at home or in another natural environment, but they had to complete all six modules within three weeks. After three weeks, AQ-Anxiety scores dropped from an average of 68.62 to 39.55 in the ZeroPhobia group, compared with a drop from 67.91 to 60.41 in the wait-list group. The strong symptom improvements were maintained at a follow-up assessment three months later. Aside from some transient cases of cyber sickness (headaches and dizziness), the participants found the VR intervention to be tolerable and user friendly.